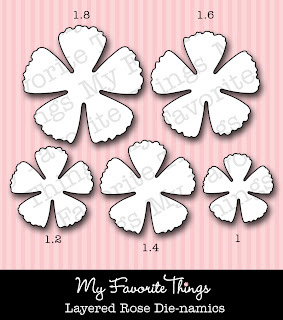 Today's the day that we share samples using the latest My Favorite Things Stamp and Die-namics duos. I'm working today with the Bookmark Duo Die-namics. I've used the larger of the two bookmark dies here, and filled the center with Die-namics heart (this is the one included n the Homespun Birdhouse Die-namics). I layered it with a piece of scrap cardboard, and stitched down the center for durability. I used more of the stamps to create a coordinating card for a little gift set. There are a ton of great sentiments in this set, and an amazing collection of fonts. 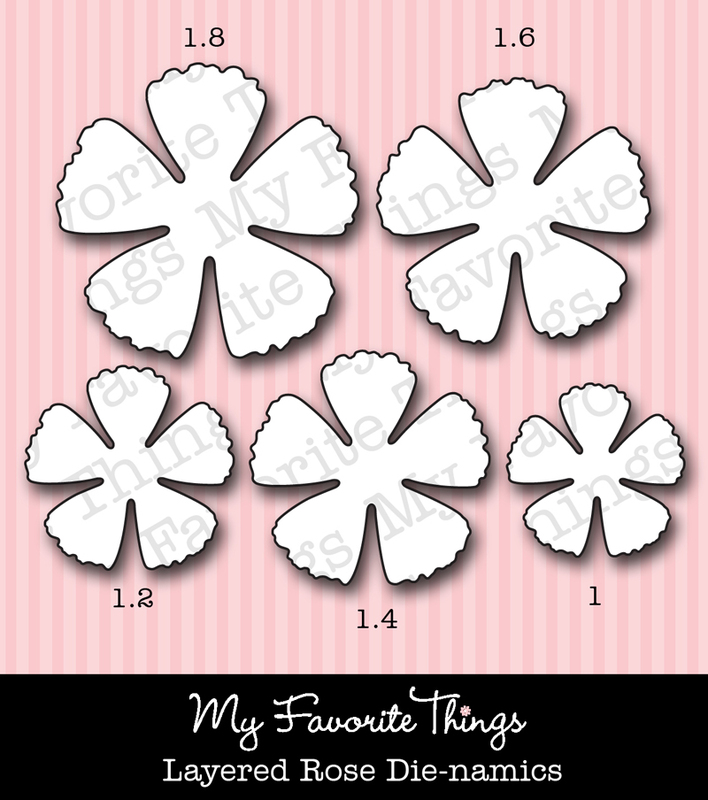 I've tucked in sneak peeks of the new Layered Rose Die-namics and the Wavy Edge Die-namics. Today I've cut it through layers of brown paper lunch bags. This die-namics creates fluffy, fully dimensional roses. The Wavy Edge Die-namics isn't a border Die-namics, it will add a wavy edge to any length of card stock or patterned paper. I cut it once from patterned paper and then again from kraft card stock. Here's a peek at the full 4x8 sized stamp set. But remember, you'll find links to ALL the designers with samples to share on the MFT Blog today! Great book mark.. the ribbon gave it the perfect touch. Wow!!! Look at the rose!!!!!! This is beautiful, I love the flower and ribbon! These are adorable! Love the floral paper! 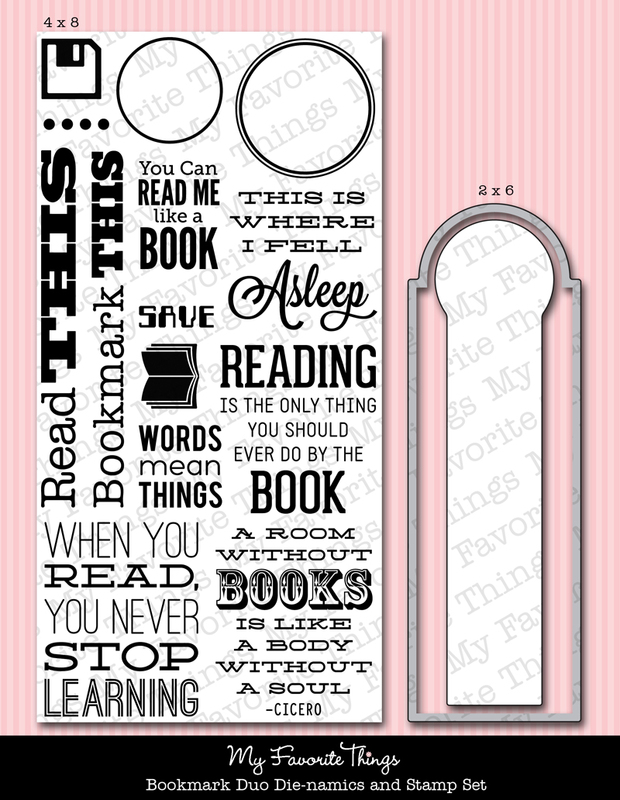 Love this card and bookmark! Great job. really nice set, gorgeous papers too! Great set! Love the sentiments. Very pretty. Love them both, especially the pretty layered rose on the card. Gorgeous Joanne! The sentiment on the bookmark is so perfect!! Absolutely georgeous! I just love that little saying on the bookmark! Very nice - that saying fits me to a T! I am loving everyone's projects -- I love your Victorian roses and reds and whites. 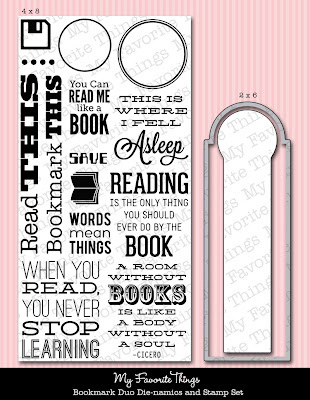 From a person that likes to read each night before she goes to sleep...what a fun sentiment on your bookmark!!!!!!!! Woohoo these are too cute! We have books in every room of our house except the bathrooms so your card is a stunner in my eyes!!! Great card and bookmark...pretty choice of pp. Joanne; wow! What a wonderful gift set! So pretty and the papers are just wonderful! Great card and bookmark! Love the pretty patterned paper with the roses! It is beautiful! And these release get's better and better! What an adorable bookmark! And when did you change your blog layout? Have I not clicked through from my reader for that long???? Very cute!!! Such a beautiful card and bookmark Joanne! 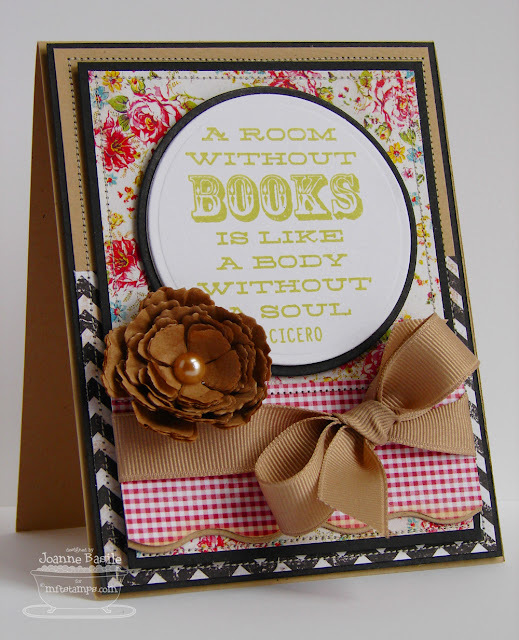 Love the pretty patterned paper you used and your blossom looks fabulous! love the bookmark and the card! Love the card and bookmark. I am just loving all the looks of the layered rose dies. They are both brilliant, love that bookmark! I am an avid reader ...... so I absolutely love this stamp and die set. Can't wait to order it now! You created such a beautiful bookmark - love the addition of the ribbon. Retired librarian here - cannot wait to use this new set! Again....I LOVE this set!!! You used some gorgeous DP...love it!! Honey, this is gorgeous! I love the kraft with that ribbon, hot hot!!!! Simply STUNNING Joanne! That card is SCRUMPTIOUS!